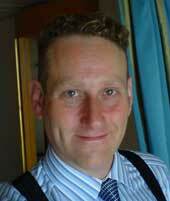 Prof. James Intriligator is a member of the Perception, Action and Memory research group. Branding/Packaging: Neuroscientific measures of brands, packs, marketing. Consumer Perceptions and Experience: Design thinking in the consumer domain. Marketing: In-store marketing, digital-sign networks, multi-channel impact, strategy and design. Design thinking, creativity, and innovation. Sensory: attention, vision, audition, learning, neuropsychology, phenomenology, eye movements. Cognition: attention, decision-making, neuropsychology, learning, education. Emotion: implicit and explicit measures. Neuroimaging: electrophysiology, functional/magnetic imaging, transcranial magnetic stimulation. Education: inter-disciplinary and experiential learning paradigms. Business: Consumer psychology, marketing/branding, product/service strategies, innovation/entrepreneurship, methodologies (business creation/development & think-tanks). Philosophy: Theoretical and practical analyses flowing from a transversal analysis into the nature of science, religion, culture, and art. Author of nearly fifty peer-reviewed papers appearing in top-level scientific journals and the author of dozens of scientific papers presented at international scientific conferences. 2014 Named an HEA "National Teaching Fellow" (Highest teaching award in the UK). Read more here. External Degree Programme Examiner: London Metropolitan University (Masters in Business and Masters in Consumer Psychology), Birmingham University (MA in Psychology). Commentator: “The Breakfast Show” on BBC TV, Financial Times, BBC World Service, BBC Radio Stoke, BBC Radio Manchester, BBC radio Merseyside, The Sunday Independent, TheTalentBlog, BBC show “Watchdog”, BBC Radio Oxford, Channel 4, Betty TV, BBC Consumer Website, ITV1. External Consultant/Expert: SBXL, Other Lines of Enquiry, Dipsticks Research, DraftFCB, Millward-Brown, and a range of other private market-research and marketing agencies. Commercialisation-Related: Captured over £250k to develop commercial products and services. Research Council (AHRC, ESRC, etc): Captured over £180k in research and studentship funding. EU: Captured over £360k in research and studentship funding. Consultancy-Related: Captured over £350k in consultancy projects. Centres, Hubs, and Major Projects: Served as PI, co-PI, or lead-academic on projects totaling over £1m.